Get ready to be wowed! 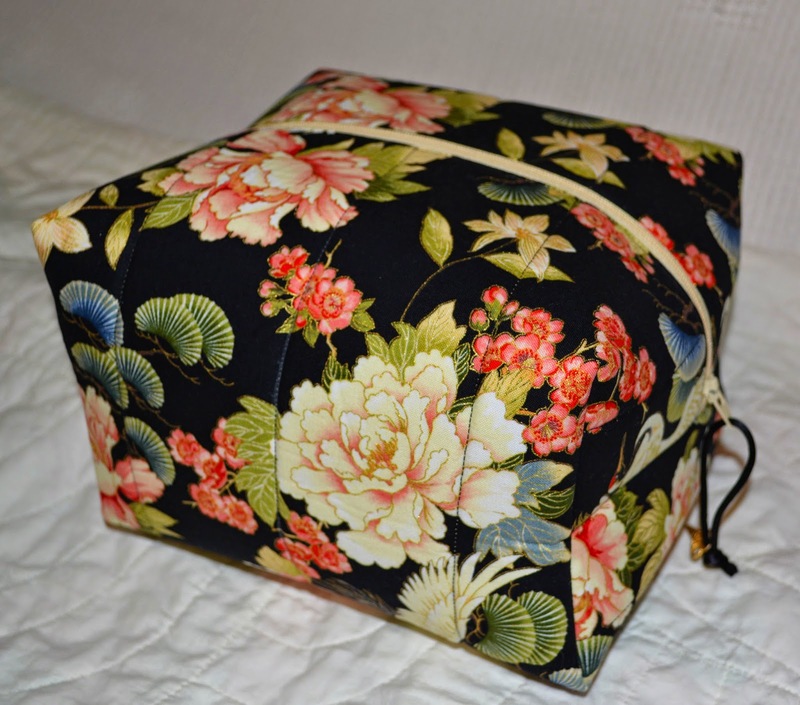 This Oriental Beauty was stitched by Joanne Colleaux of Armstrong, British Columbia. 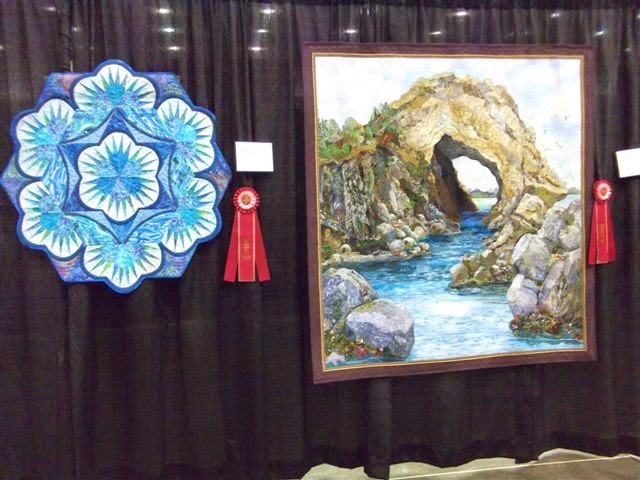 Joanne brought her wonderful colour sense and exquisite stitching ability to this piece. Front and back, it's stunning. 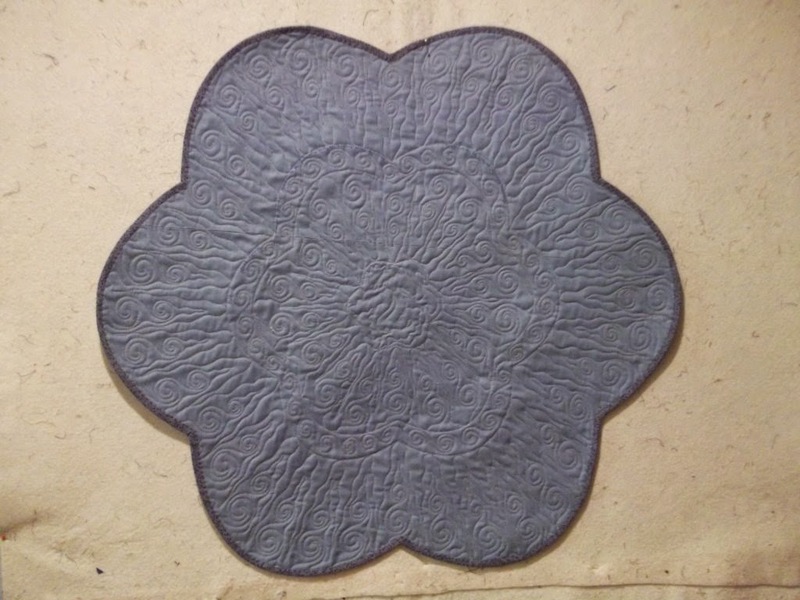 Choosing a plain backing fabric has allowed the free motion quilting to really show. 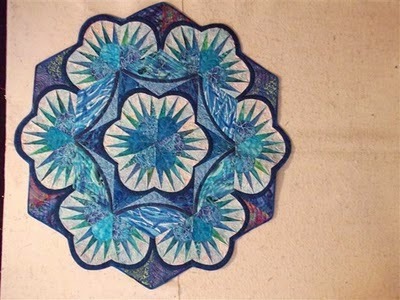 Awhile back, Joanne stitched a version of Farrago which she named "Underwater Blossoms". 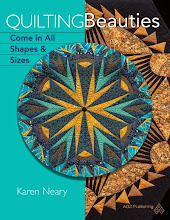 Joanne tells me she has my Quilting Beauties book on order and it is exciting to think how she will translate some of those designs. Thank you, Joanne. 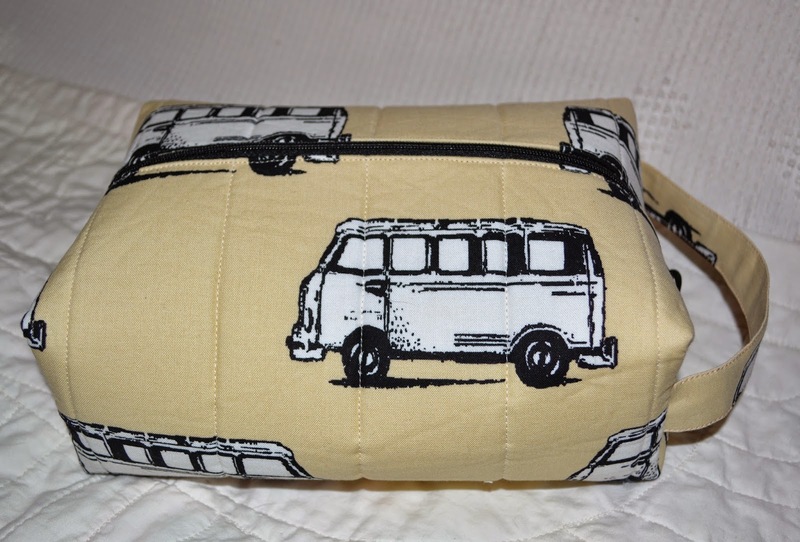 Awhile back, I was invited by Mark Hordyszynski to participate in a blog hop which was making the rounds. In this "hop" you were to link the readers along to the next group of bloggers, but after some discussion, Mark and I decided we would do the opposite and pay it backwards as it were and have it end here. To do this, I invite you to visit Mark at his blog, and then work your way backwards to meet Nanette, etc. Although I've never met Mark in person, I've known about him for quite sometime and am a huge fan of his work. Mark personifies creativity: he designs fabrics for Michael Miller (you may have heard of Fairy Frost and Mirror Ball Dot? Those are Mark's), writes books, knits, and cooks up a storm. A native New Yorker, he is now living the dream in Hawaii. Take the time to read back through Mark's blog to see some of the varied projects with which he is involved. If I had to pin it down to the way my work differs from others, it would be in intensity and focus. I get consumed with an idea and will express in as many variations as possible before I am through with it and move on to the next thing. 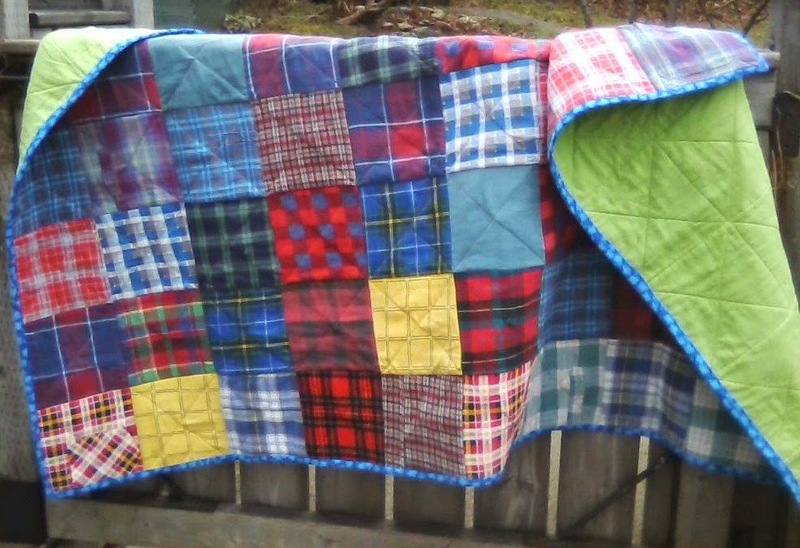 The first time I sewed a Drunkard's Path block it resulted in 17 quilts, no two the same. It's been pretty much the same with the New York Beautys. I like to play around with colour placement and am over-the-moon when a new pattern emerges from doing that. For me, the appeal of patchwork is all about the patterns formed from repeat and repetition...and the precision with which the tiny fabric pieces fit together. I don't think anyone knows why they create, but for some of us it is as necessary as breathing. It's part of you. Some of the designs come quite easily, and I see them finished in my head even before I start. Others have a bit more difficulty being born, but it's seldom that I leave anything unfinished. Even though I can work on a couple of different projects at the same time, there are no UFO's here. 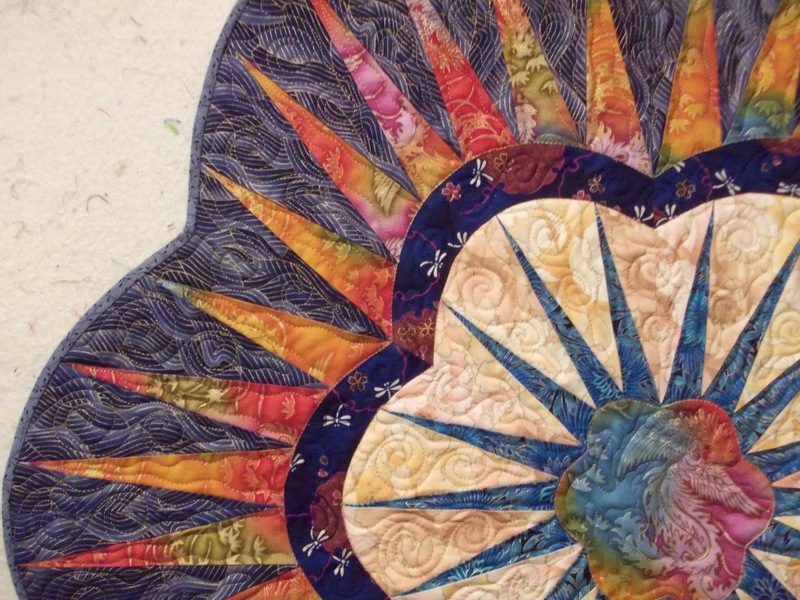 Other than basting, I like all aspects of the quilting process; adding texture through machine quilting is as exciting as the surface design of the patchwork. 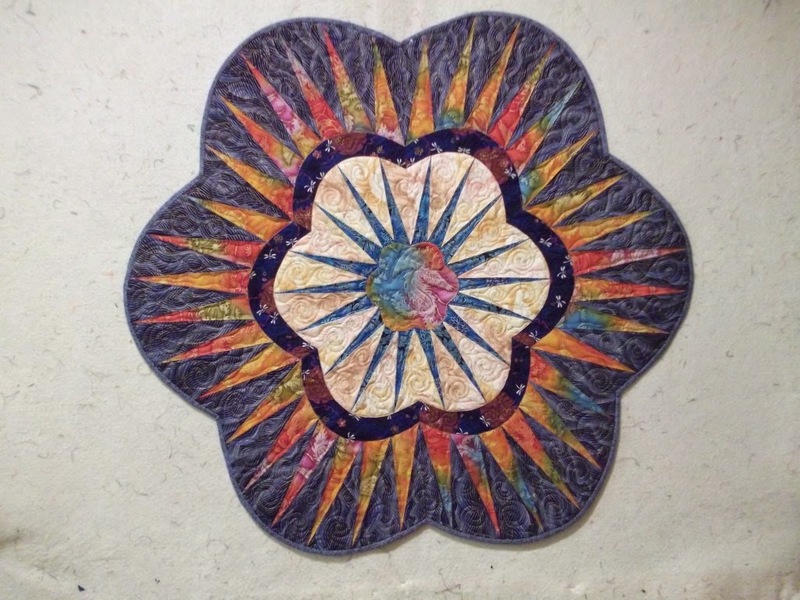 Very soon, I will get to show you the New York Beauty quilts from my book and I can't wait to do that. In the meantime, I will share a whack of pictures of Christmas gifts made for this year since no surprises will be spoiled now. 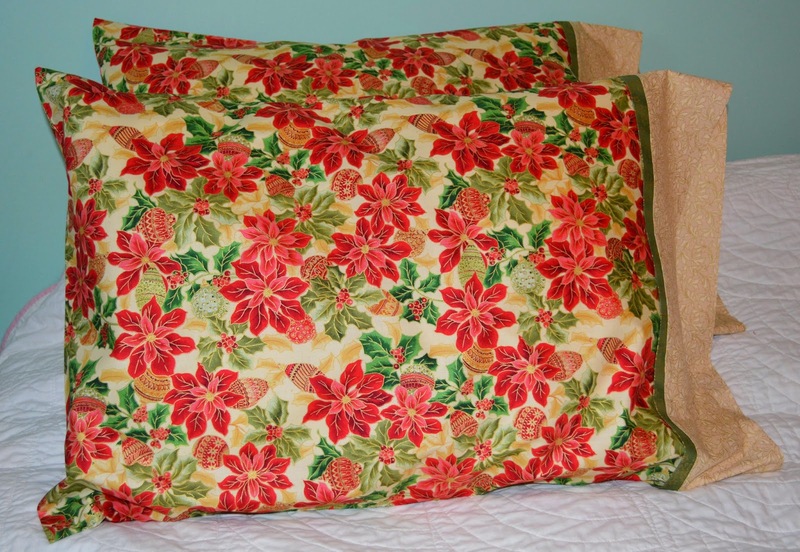 These pillowcases in Christmas fabrics turned out beautifully. You can find instructions for these on Mark's blog here. I wish I had more of this fabric for a set for myself, they were really pretty on the bed. 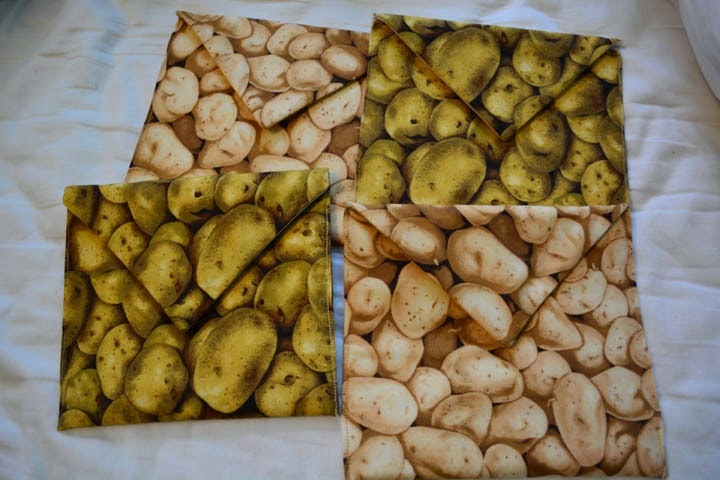 These microwave potato bakers were very quick to stitch. You can find directions on the batting package, or on the Pellon website. 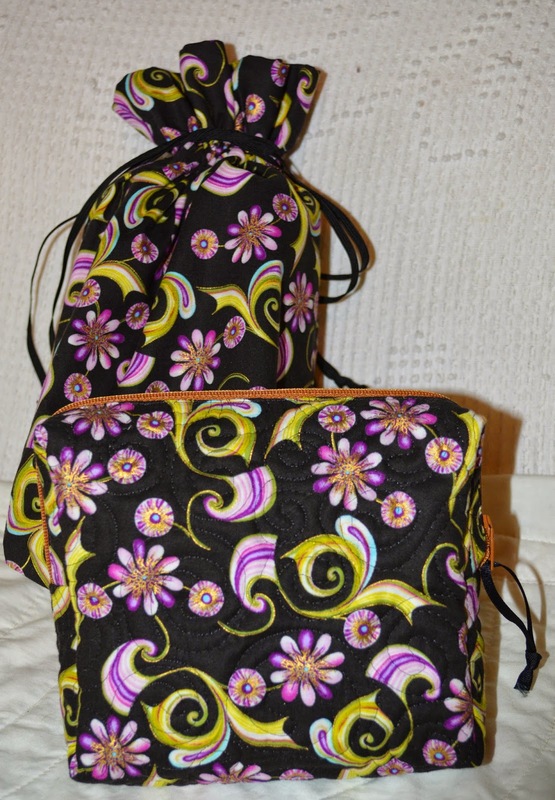 I stocked up on zippers at Mrs. Pugsley's and had a great time making bags. I made a lot of them, experimenting with different fillers to find a favourite...and I did: In-R-Form from Bosal is fabulous. 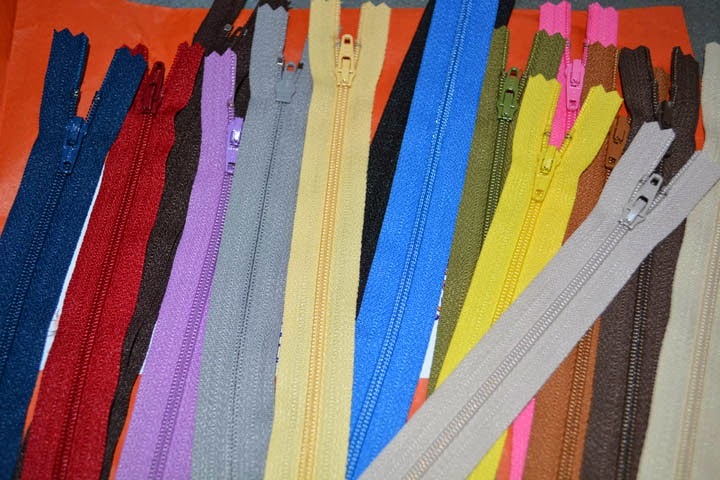 It gives great structure to the project and is easy to needle. 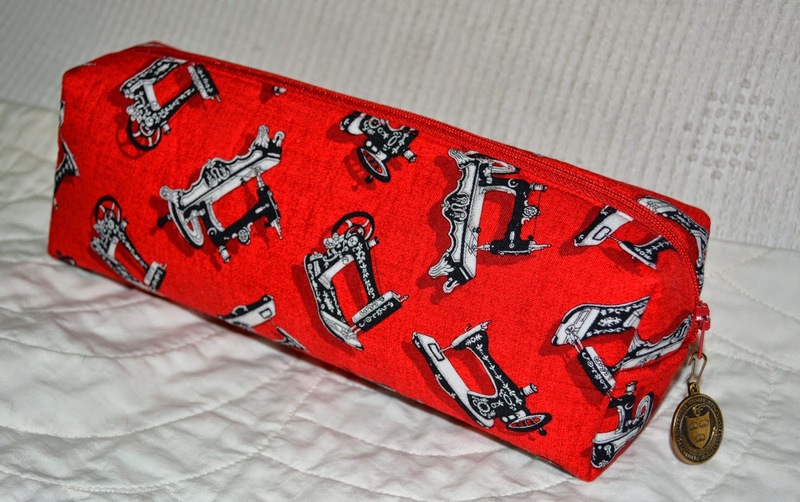 This one is for me, to carry my scissors and rotary cutters to workshops. 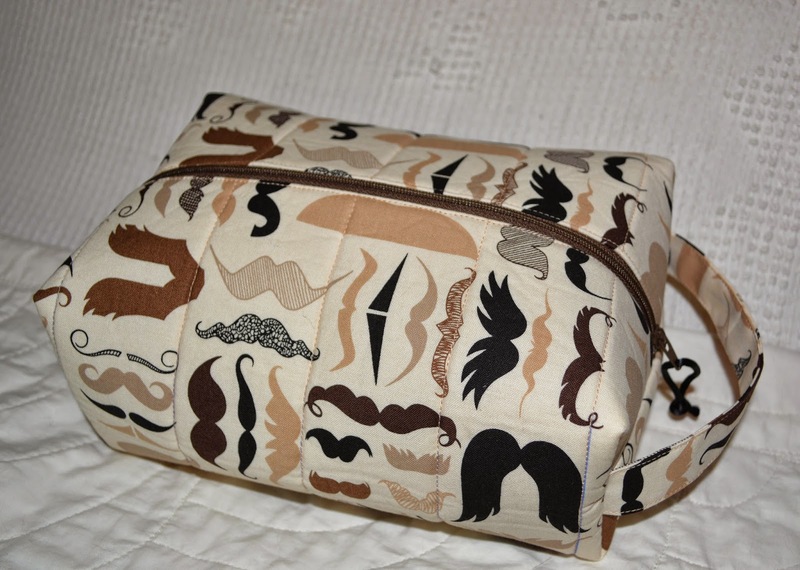 It isn't always easy to find things to make for men, but this Dopp Kit is perfect. Guys carry stuff too. 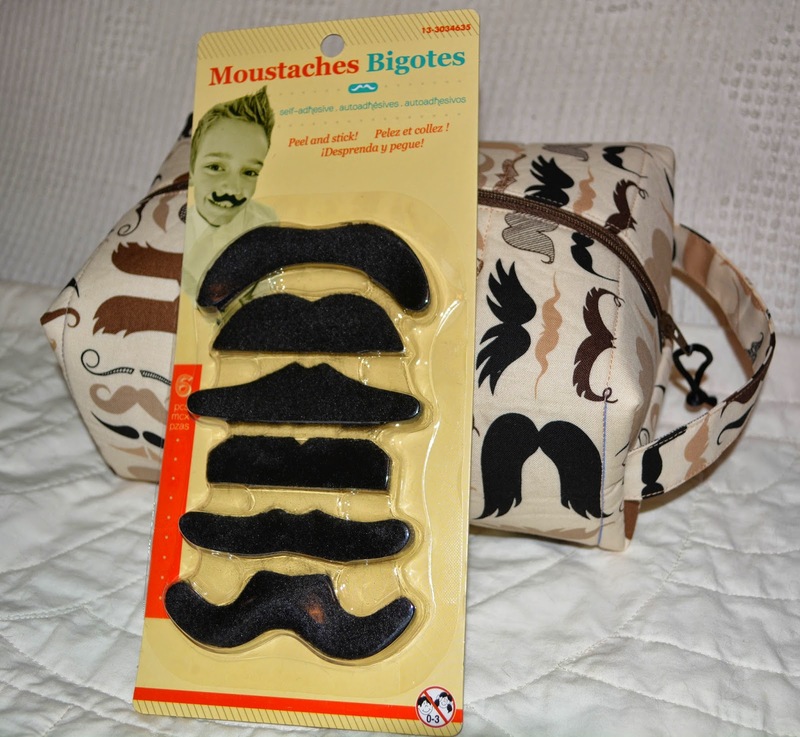 This one for my Westphalia-obsessed husband used up fabric leftover from his pillowcase made earlier this year..
Mrs. Pugsley has several moustache fabrics at her shop and I found some furry stick-ons at the $ Store to accompany the bags. Good fun for a laugh on Christmas morning! 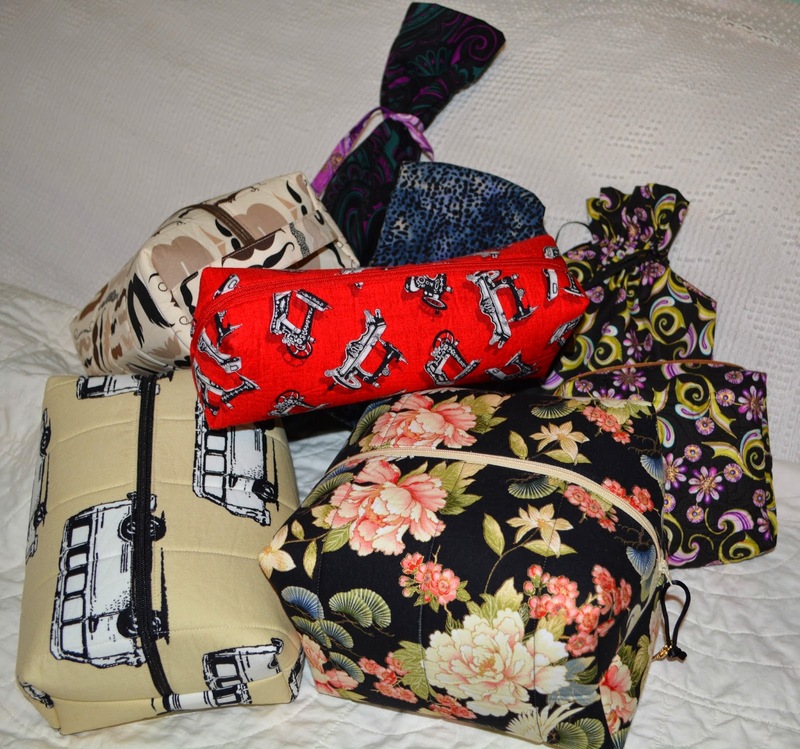 The bags are all lined in coordinating prints and will wash easily. 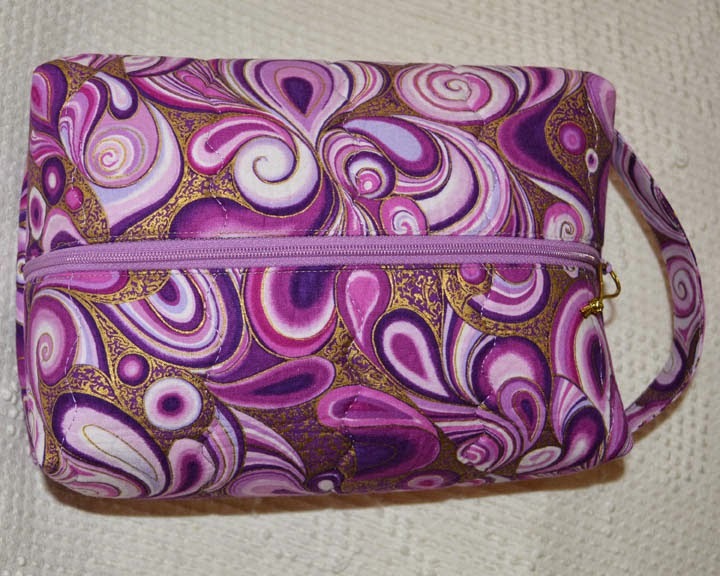 For a feminine version, I used a gorgeous Hoffman print, and lined it with a coordinate from the same line. 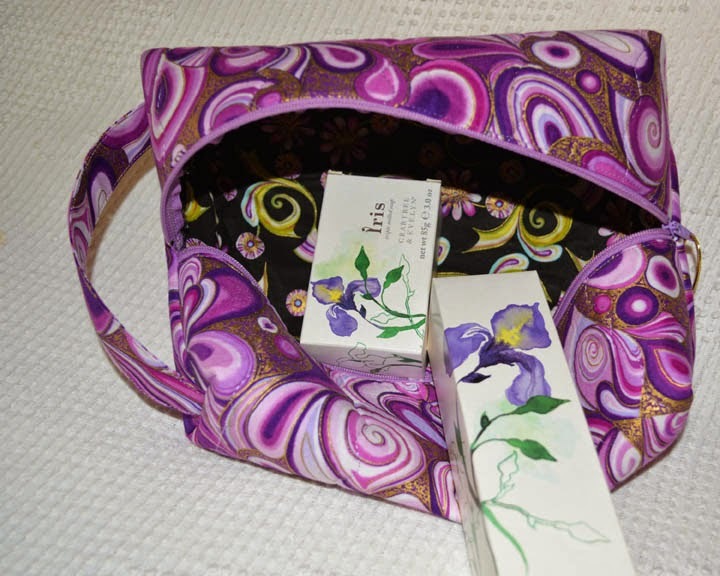 Filled with Crabtree and Evelyn soap and lotion, it made a pretty gift. I met up with Katherine recently in Five Islands and she told me she had started her first quilt. 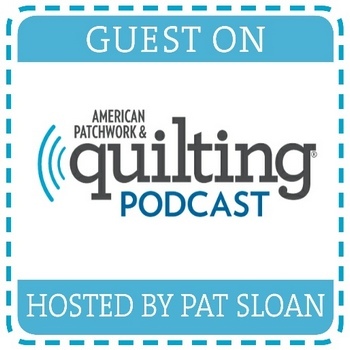 What an honour to know that she had searched out Canadian Heritage Quilting for guidance..
She decided the Simple Squares: Flannel Nap Quilt featured in the book was a good place to start. It was early December that we met, so she has worked very diligently to get this finished up, including the machine quilting. Katherine tells me she has enough squares cut out now for 4 more quilts so it sounds like she has been bitten by the quilting bug. Fabulous work,Katherine, Na would be so proud! 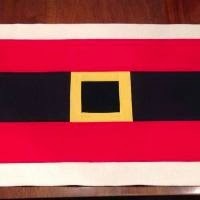 Pictures of the Simply Santa Table Runner have been arriving and I've been slow to get them posted, so here's a whole bunch at once for you to enjoy. The first 3 are by Beth (aka Mrs. P) and all reflect her thinking-outside-the-box approach to...well, everything! This first one is stitched from a new Moda collection named Atelier. It gives Santa a much dressier garb than plain old red and black. Very classy. Next she used jazzy Christmas prints for Santa's attire. Love it! Elizabeth O'Donoghue followed suit and came up with 3 beautiful plain ones of her own. This one is on its way to Sweden to enjoy Christmas with friends there. Because she is a musician, Elizabeth refers to this one as, "Variation On A Theme in G Major". 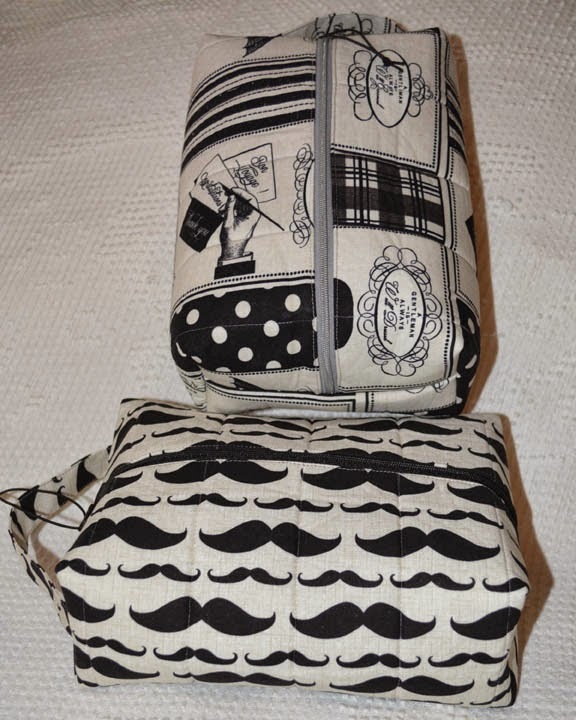 Shari Guitard of Amherst chose a fabulous group of fabrics for her runner. 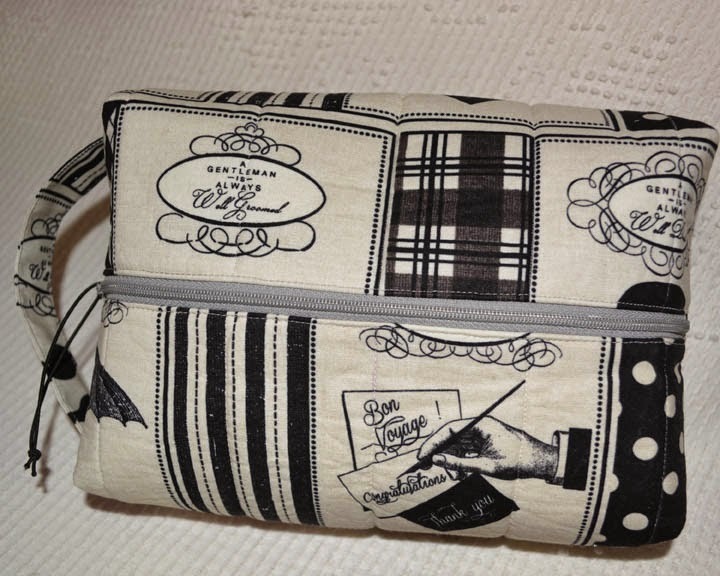 I love the plaid she used in the buckle. 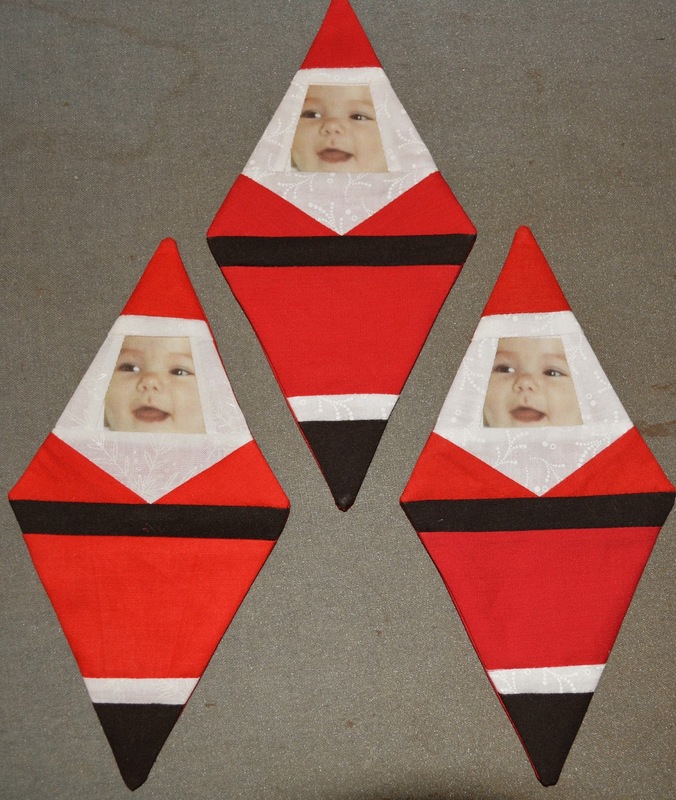 Marie Withrow, from the U.S., stitched a couple of traditional red, black and white runners. She was happy with how quickly these stitched up. As for me...I found these kitschy salt and pepper shakers shaped like Santa's boots at Super Store so I am including a set with each runner I gift. Thanks Beth, Marie,Shari, and Elizabeth for sharing these pictures. 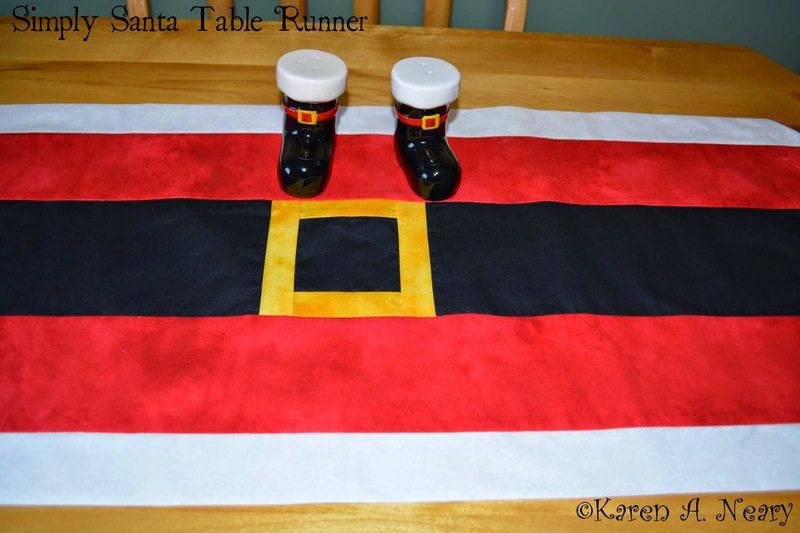 The Simply Santa Table Runner pattern is available as an instant download here. I think I may have mentioned a time or two my love for all things Santa. 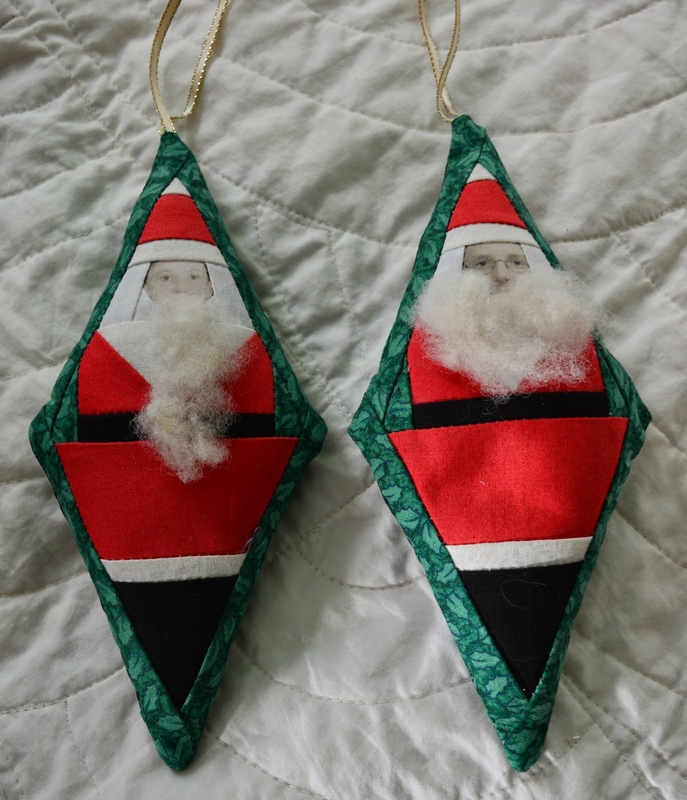 A few years ago when my boys were young, I made these Santa ornaments as a bit of nonsense to hang on the tree. 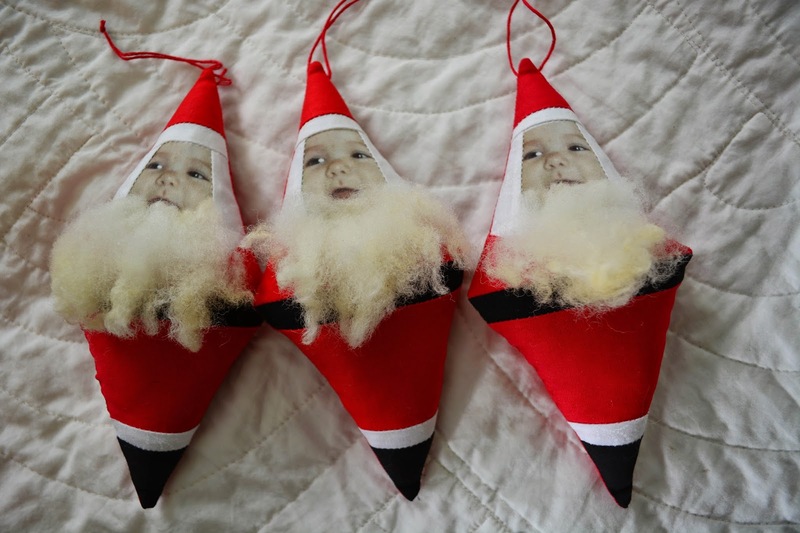 Pictures of the boys were printed on inkjet fabric sheets and a little sheep's wool was added for the beard.They were a big hit and I ended up making quite a few as gifts for friends (with pictures of their own kids I mean, not mine!) All good fun. I haven't made any for some years, but now my sister has a grand baby and I figured she would love one. (Nancy, if you are reading this: stop now and come back after Christmas!) 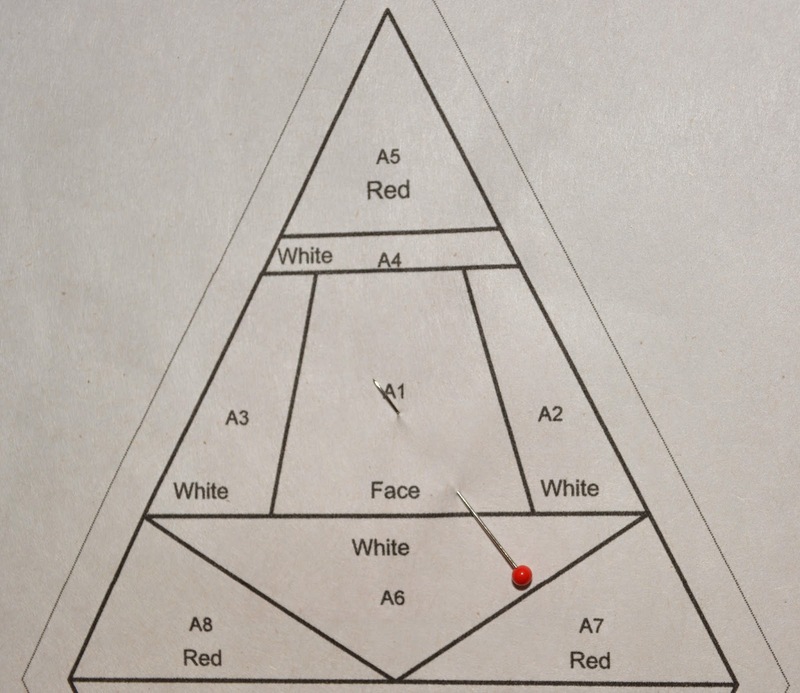 In this post I will share directions for the ornament, the full sized foundation, and instructions on how you can personalize it for a special child. The original block had been drawn in EQ2 I think, and those files are long gone from my archives so I redrew it in EQ7, eliminating several patches to simplify the piecing. It's pretty close to the original...even improved, as it allows a bit more space for the face. It's simple to foundation piece. Backing fabric 8-1/2" x 5"
hand needle (for sewing the opening closed). 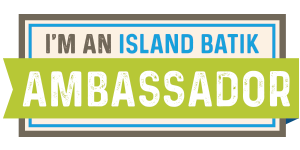 First, download the foundation. Please note that when you go to print the pdf, you must have the box checked which says ACTUAL SIZE, 100%, otherwise your templates will not print correctly. Find an appropriate picture to use for Santa Baby's face.Wanting to keep this a surprise and not tip my hand, I nonchalantly asked for a close-up picture of Taylor. Here's what I got...adorable, but not exactly my idea of a close up! I inserted the photo into a word processing program. Unsure of which size would look best in the design, I formatted it in 3 sizes. In the end, the 3.75 cm x 3.75 cm (1-1/2") size in the middle row below worked best. 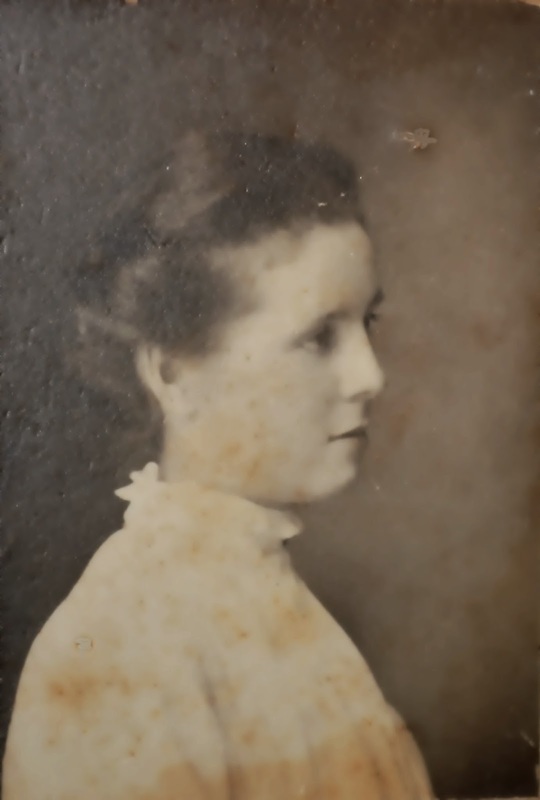 The images were printed on inkjet printable fabric sheets (available at Mrs. Pugsley's) and trimmed 1/4" past the edge of the photo on all sides. From here on in, follow the numbers until your foundation is complete. 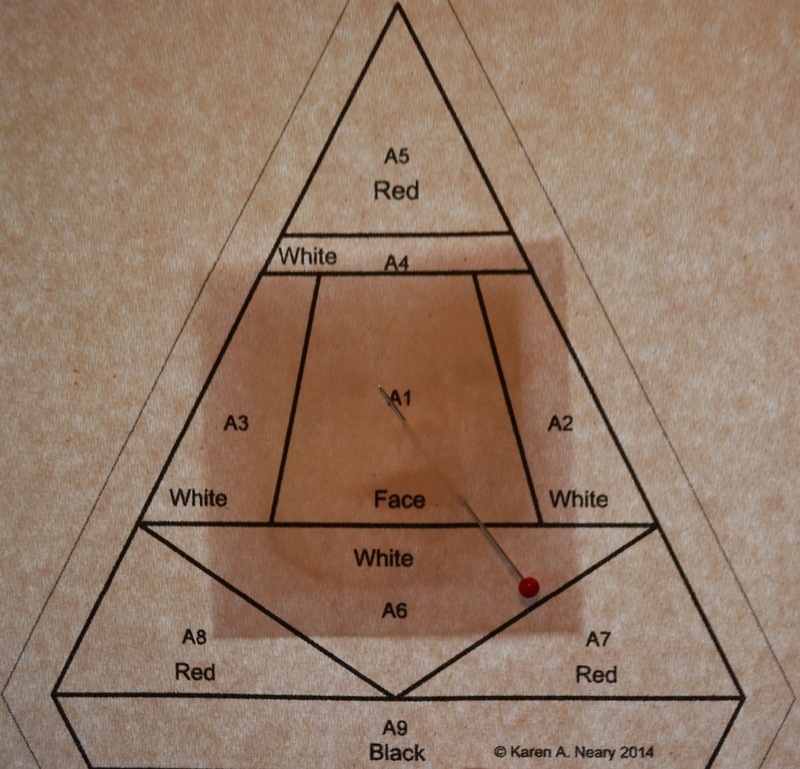 If you are not familiar with foundation piecing, a Google search should bring you lots of help. Trim with your rotary cutter on the outside lines. 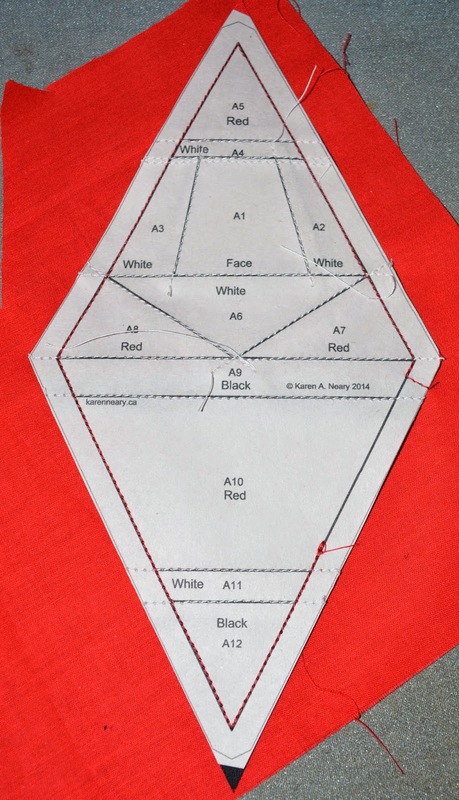 Place your pieced foundation right sides together with your backing fabric and stitch around the outside lines, leaving an opening to turn along one side. You can see I didn't cut my backing to size,I stitched and trimmed in one step. At this point, carefully remove your paper foundation. Clip your corners and turn right side out through the opening. 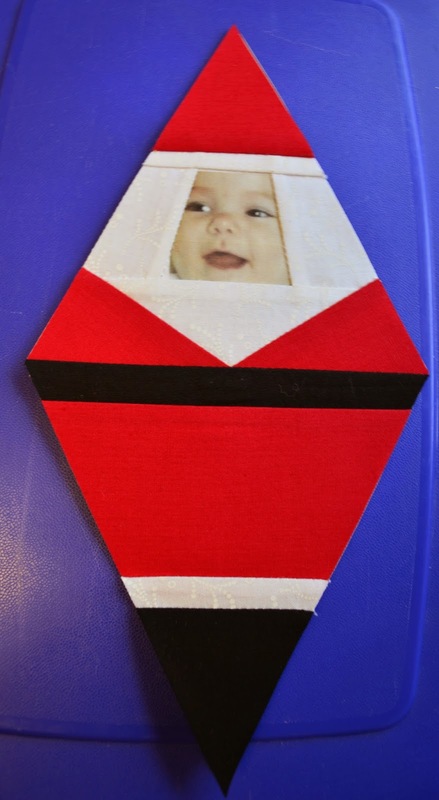 Just try to stop smiling as you stuff your Santa Baby with fibre fill, and stitch the opening closed with hand stitches. 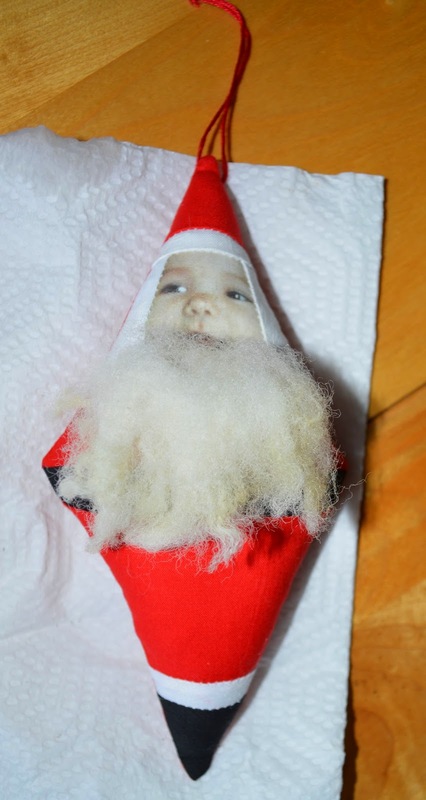 I debated about this next part, since this is a little girl, but in the end...Santa Baby really needed a beard. 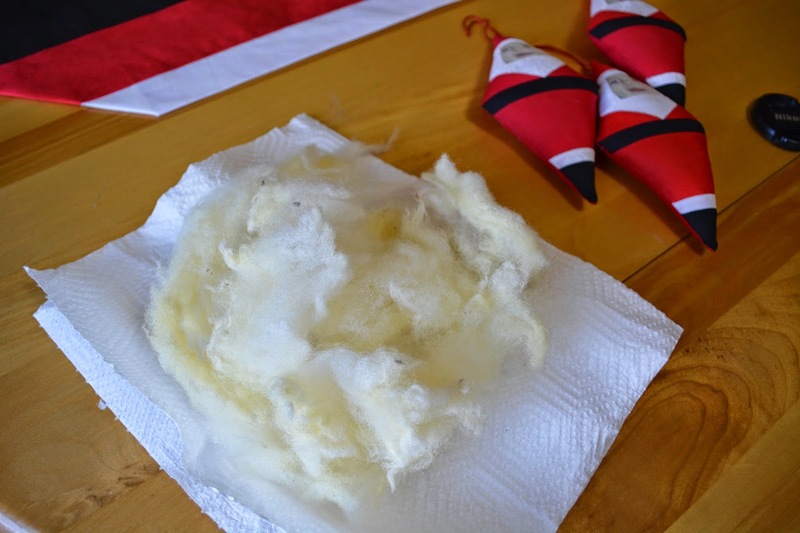 I washed some wool which came from a nearby farm in Nappan, heated up the glue gun, and put on a dab to hold the wool in place. I used red embroidery floss as a hanger, just stitching a loop to the back. 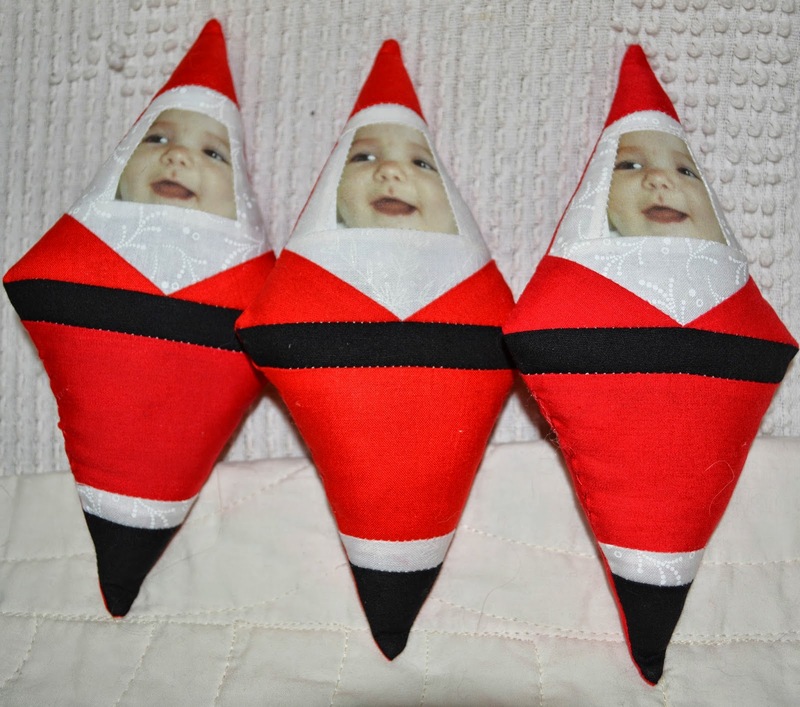 There is one for Taylor's Mom, and one for each set of grandparents: a fun keepsake for baby's first Christmas. Enjoy! If you make some, I sure hope you'll share a picture with us.